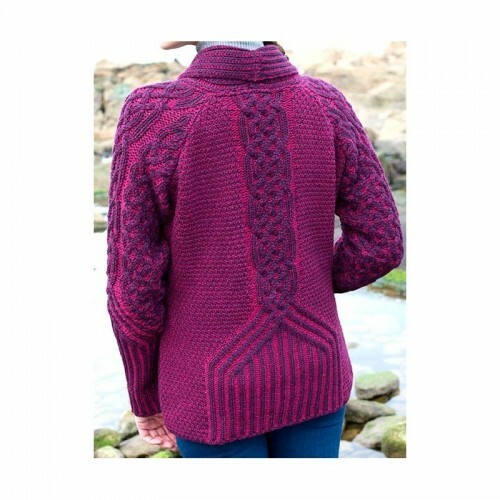 A beautiful ladies lumber style knitted sweater cardigan in gorgeous two-tone raspberry colour. Made in soft-touch 100% merino wool, these warm and stylish garments have a two-tone finish giving depth to the fabric and accentuating the intricate stitching patterns. They have three double buttons in the centre of the front panel, creating a v-neck shape at the top and a flattering fit at the bottom. Available in sizes X-Small to X-Large.